We were first alerted about their relationship when the pop diva posted pictures from her New Year skiing vacation. Madonna, 55, and 26-year-old dancer from The Netherlands have been romantically involved for around six months now. In a photo from the skiing trip we can see a backing dancer Timor playing around on the slopes with Madonna’s son Rocco, 13, and his friends. It is speculated that the couple first met last year when they collaborated on a dance project. Timor Steffens is an accomplished dancer. He was born in 1987 in the Netherlands and is known for his work on “This Is It” (2009), “Burlesque” (2010) and “So You Think You Can Dance” (2008). It is not exactly a secret that Madonna often finds love in her line of work. Only in December she split from a French dancer Brahim Zaibat, 25, after three years of dating and before that she use to date a Brazilian model and DJ Jesus Luz, whom she met during a photo-shoot session. 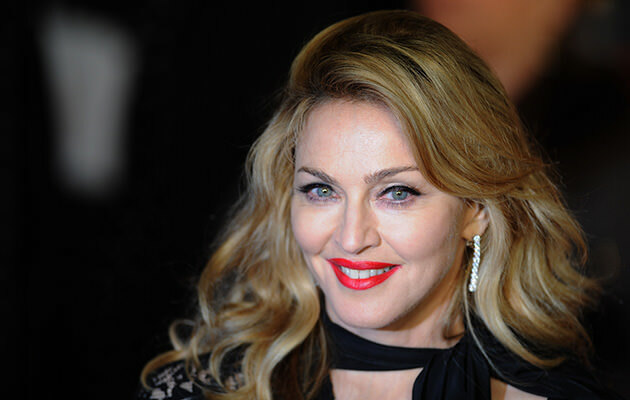 In an interview two years ago, Madonna revealed some information on her romance with Brahim. “I didn’t choose to, you know, I didn’t write down on a piece of paper, ‘I’m not going to have a relationship with a younger man,” said the star. We wish her good luck in her new romance, and maybe she and J.Lo could meet up for a cup of coffee. We’re sure they would have a lot to talk about.